Home Beauty DIOR Kingdom Of Colours Palette on SALE NOW! Yes, you’re reading this right! 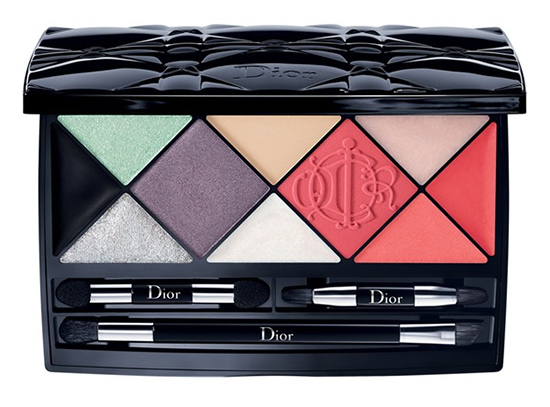 Is Dior Kingdom of Colours Palette that was released as part of Dior Spring 2015 Collection that I’m talking about. This palette was a limited edition release back in the days but I just spotted it earlier while I was browsing Escentual website. It has a great price now so if you are beauty collector, a Dior fan or you just missed the palette a few years back, you have a second chance now. To tell you the truth I’m browsing Escentual more and more lately as they have the best prices, especially for high end and luxury products. I’ll definitely be getting from them more shades of the new Guerlain Rouge G lipsticks and lip cases. I mean have you seen those prices? Please let me know if you are shopping at Escentual.com as well. I did place a few orders with them and everything went fine! Escentual is my favourite online shop! My first order with them was 4 of 5 years ago. Their customer service is brilliant and loyalty program is very good as well. I love them!